The species is found in the Vayots Dzor region of Armenia and in southern Zangezur Mountains (including both the Armenian and Nakhichivan sides). Is monotypic. It inhabits the stony slopes in high mountains at the elevation range from 2500 to 3000 m a.s.l. Recent investigations suggest that the host plant of the species is Stipa araxansis, and the extremely localized distribution of this butterfly is justified by patchy distribution of the host plant. The species gives one generation per year having the butterflies on wind from mid July to mid August. Although the species has patchy distribution in its typical habitat it is slightly uncommon. 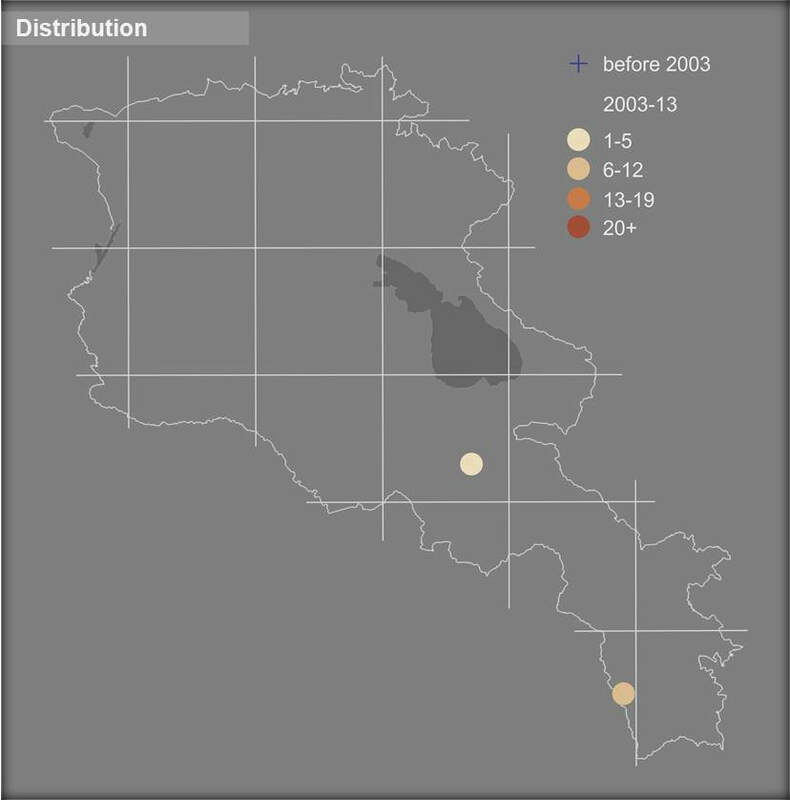 Scarce visits to its distribution sites, determined by difficult access, do not provide enough data for computation of the species' population trend, but several visits to those areas suggest strong fluctuations in number. The areas are rarely visited by shepherds in summer period, and therefore the overgrazing can hardly be a threat. However the mountain in Vayots Dzor region was recently considered as a perspective mining site, and that factor is known as completely disastrous to the habitat. The species has not been evaluated for the Global, European, and National Red Lists; also it is not included in CITES and Bern conventions. Preliminary assessment of its conservation status in Armenia, suggest it as Endangered. 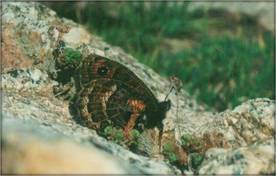 The species' range at Zangezur Mountains is included in Zangezur Biosphere Reserve and Emerald Site Arevik, as well as in Lichk Prime Butterfly Area. The site in Vayots Dzor region is covered by Yeghegis State Sanctuary, which has rather weak protection regime, and doesn't have any international protection status. Therefore, the necessary conservation measures include: (1) inclusion of the species in the next issue of the Red Book of Animals of Armenia; (2) assessment of its distribution area in Vayots Dzor as a Prime Butterfly Area and then as an Emerald Site; (3) development of management plans fr the Emerald Sites; (4) lobbying against the potential mining project.